Tousimis research corporation (formerly Biodynamics Research Corporation) was organized in 1962 under the laws of the District of Columbia. Our company was founded to carry out basic research in areas related to the ultrastructure of matter and to correlate these findings with dynamic experiments. Our goal was, and still is, to develop and perfect instrumentation and products to be used in laboratories where similar studies are carried out. 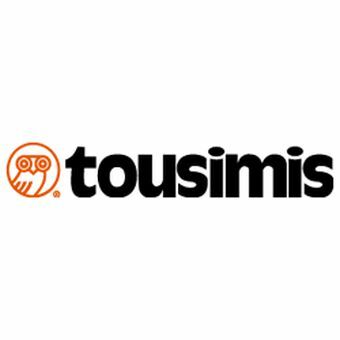 This idea (which has been the basis for our company for the past 41 years) was that of scientific pioneer Dr. A. J. Tousimis, President and CEO of tousimis research corporation. Today we are pleased to present our listing of research chemicals, supplies, accessories, and instruments for the electron microscopy and analysis laboratory. The majority of items listed were developed in our laboratories where the demand for high quality and reliable instruments continues. We are aware that excellence in research requires not only the well prepared scientist and his organized scientific and technical team, but also the highest quality instrumentation, accessories, and supplies for reproducible and reliable results. Ultrapure TEM grade products are now available from one source you can trust. We have improved on many of the purification procedures, and even developed our own methods for purifying, packaging, and testing. We are dedicated, and continue to develop and improve our chemical supplies and virtually every item we design and manufacture so that the needs of even the most advanced electron microscopy research laboratory can be met. Our products are the best available and are known for their reliability and highest possible quality so that your experiments are the variables, not your chemicals and instrumentation. For reproducibility, constancy of results, and convenience, join our growing family of customers.